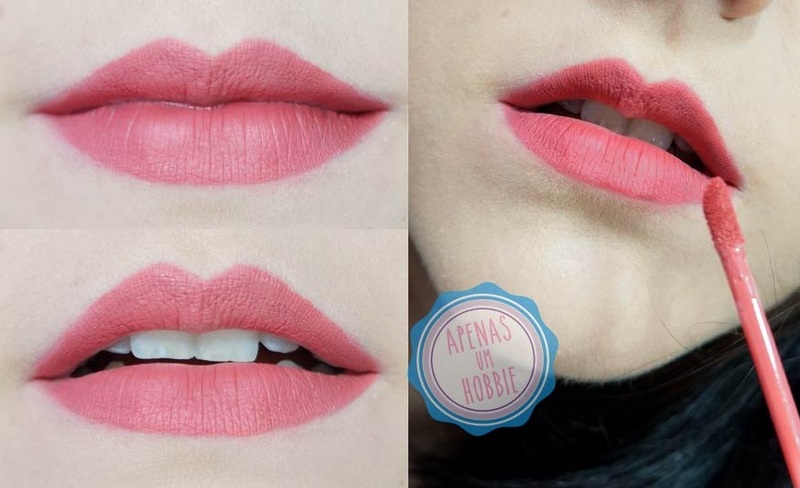 If you haven't seen my last post, and you don't know where that came this super matte lipstick, then clic here to see what the partner who sent me. Beyond that lipstick, I received a super cute blush, but I don't tested it yet, and lipstick already, as you will see in this post. I even already used it to get out and test the durability. 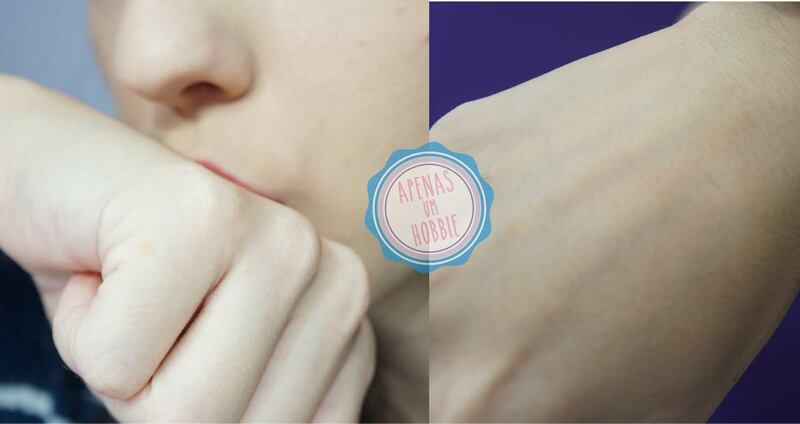 Are you curious to see how it looks in the lips, how matte it is, and about durability? Long-lasting lipstick with velvet texture and matte effect, the color doesn't break when drinking liquids and touching him. You must use makeup remover to remove this lipstick. You are advised to use lip balm before to apply this lipstick. The texture is cold, is recommended you give little taps with your fingers after application to the best effect. Keep an open mouth until it is dry, dries quickly. Note: Dissolves with any oily thing and it is important not to rub your lips together. As most these liquid lipstick matte effect, the package looks very much like that of a gloss, including the applicator. Package is made of well strong and resistant plastic, and is super cute with these metallics and black details. Lipstick soon as applied, it has creamy texture, and super high coverage, it doesn't take many layers until get the original color. A few seconds later ~ puff! ~ the lipstick dries like a magic, dries very fast and is really matte, I was surprised! Beyond this lipstick, I just tested the liquid lipstick matte effect of Dailus, so, taking it as a basis to compare the "effect" of this kind of lipstick, I can say that dry much faster, and it is more matte than the Dailus. In a matter of durability, I think it's pretty much the same, it comes out only the central region of the mouth when we eating any food or liquids. But it really only comes out in this wetter region, because the rest of lipstick will only come out if you rub with makeup remover. The color is beautiful! I do not know exactly describe it, reminds me a mouth's color, more or less pink and a bit stronger than the color of a mouth even. Another difference is that, if you touch it don't stain! I until was frightened, that not stain nothing after it dries. But before to dry completely it's a little sticky, so don't rub your lips before to dry completely. I approve of this product, and you can find it through this link here, costing just $4.18! The color that I chose is number 26, you can view the photo on the site. You can make shopping on the site with paypal, moreover, the shipping is free.